In today’s competitive job market, employers use a variety of methods to simplify and streamline the hiring process. Most companies use an applicant tracking system (ATS) to weed through the multitude of resumes that they receive. Companies also often require candidates to take online pre-employment tests, such numerical reasoning tests or personality tests. What does this mean for you as a candidate? You can be rejected as a potential candidate before anyone even views your resume! According to CIO, 75% of candidates are rejected by an ATS. Even if you’re one of the lucky few who make it past the initial screening, you still need to overcome the hurdles of interviews and pre-employment screening. Follow these top tips to maximize your chances of getting hired. Applicant tracking systems pool information from your resume into a database that shows the keywords that match between your resume and the job description. By failing to include the right keywords, your application will be overlooked even if you are qualified. In addition, remember that your resume is being examined by a computer program, not a person. If you call your work experience by another name (such as “professional achievements”), the program will ignore it. You should also start each line of work experience with the company name, not the dates that you worked there. Top applicant tracking systems include Taleo, Homegrown, Bullhorn, and Jobvite. You can read more about each one and how to tailor your resume to them on the web. Many candidates make the mistake of assuming that their assessment test will be easy, and then they are stumped by the actual evaluation. It’s better to overprepare than to risk a low score. Most tests have a strict time limit, which adds a layer of difficulty. You can even prepare for tests which may seem to evaluate innate traits, such as personality or situational judgment tests. By learning what attitudes and habits you should emphasize or downplay, you can ensure your success. A great way to show that you are passionate about the company for which you are applying is to do your homework before your interview. You can impress hiring managers by learning about the company’s values and culture, and incorporating elements of this into your answers. For example, if you are applying to an innovative company that wants employees to take risks rather than playing it safe, mention in your interview that you are not afraid to fail. You should also look up key executives of the company and their personal vision. Some companies publish a list of traits, skills, and abilities that they value in employees, and you should know them. Lastly, read any news articles that mention the company. Demonstrating your knowledge of recent events that affect the company is a surefire way of showing that you prepared thoroughly for the interview. You can also find examples of interview questions and reviews of the company on sites like Glassdoor. You need to convince hiring managers that not only do you have the skills and experience needed for the job, but you are excited about the opportunity to work at their company. After all, if you are indifferent to the job opportunity, then your interviewers will be indifferent about you. Maintain a positive, upbeat attitude throughout the interview process, and don’t forget to follow up each interview with a personalized thank you note. Typically, hundreds of candidates submit an application for only one open position. Out these, generally only four or five are invited for an interview. 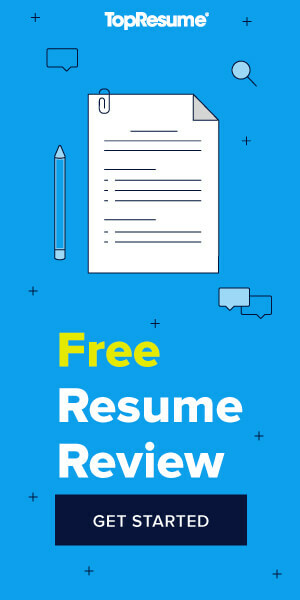 Ensure your place among top candidates by crafting an excellent resume that will beat an ATS, acing your assessment tests, and making a good impression on hiring managers. Don’t let your application fall through the cracks. Start preparing for the hiring process today. Good Afternoon, My name is Damon Kelly and I am currently looking for a job within your company. My name is Tommy Wagers, I’m looking for a well an good paying job. I’m really interested in your company an organization. know how I can be part of company with no experience. How to get experience to be part of your company.when you never work for this company. I am currently looking for a job @ your establishment and i was wondering about the pay as well. MY NAME IS SCOTT CHAMLEE AND AM ITEREST IN WORKING FOR YOUR COMPANY, AND HAVE BEEN FOR A LONG TIME. THANK YOU..
hello my name is Sabrina Maldonado I am interested in a job.. would like to hear back from you my schedule is pretty open. you can reach me on my cell; 208 201 6635 or for a message phone 208 646 8452 thank you. Hi my name is Rochelle I’m desperately looking for a job in your company anything I’m a fast learner and hardworking.. I an looking to get hired at your company I have been a temp since Nov 13 2018 an wondering how long until I get an interview to be one day hired. I am working in the kitchen area as a utility on the machine op. Hi I am contacting you for a career not a job. If at all interested just giving me a chance. please feel free to call at (920) 538-2630. Email is a great way to contact me as well. Thank you and I’m looking forward to hear from you. sincerely Austin Mann. TODAY, I WAS INQUIRING IF YOU ARE HIRING CASHIERS FOR THE UP-COMING OTB SEASON FOR HAMPTON,VA. NEW FACILITY. PLEASE ADVISE ME ASAP VIA MY EMAIL ADDRESS. THE STEPS NECESSARY TO APPLY FOR SUCH POSITIONS WITH COLONIAL DOWNS. THANL YOU FOR YOUR PRJOMPT ATTENTION TO THIS MATTER. RESPECTFULLY, SGT.THEODORE A.SANDLER-VET.US ARMY-VIET-NAM VET. How Can I Get a Job at Dimension Data?